Just like the old Cherokee chief, in the aftermath of betrayal, many men find there are two wolves fighting inside them. The first wolf is hostile. It’s the part of you that is filled with rage at being played false, filled with resentment at being lied to, and filled with anger at having been manipulated. You can just imagine this wolf its eyes narrowed down to slits, large predatory teeth bared, saliva dripping from its mouth — as thoughts of revenge, retaliation, punishment, and settling the score fires up its blood. The second wolf is different. It’s the softer side of you. It’s the part that, although hurt, does not hate… although disappointed, is not devastated… although unhappy, does not despair. You can imagine this wolf: it’s prowling back and forth looking for a way out. It sees the injustice, but it is not focused on getting revenge. 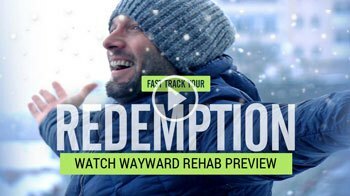 It is focused on restitution, repair, and recovery. For this wolf, thoughts of overcoming and finding a way to free himself are what fires his blood. The metaphor of the two wolves is symbolic of the fact that when faced with injustice, adversity, or a crisis like infidelity, there are two ways of coping with the situation. 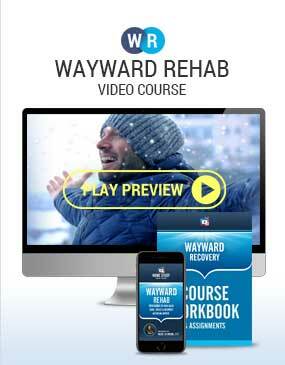 One way takes you toward surviving, healing, and recovery, and the other way takes you deeper into pain and suffering. The wolf you feed determines the road you’ll take. That’s because each wolf represents a certain path. One represents the path of the victim; the other represents the path of the survivor. This article is written for men who choose to be survivors. 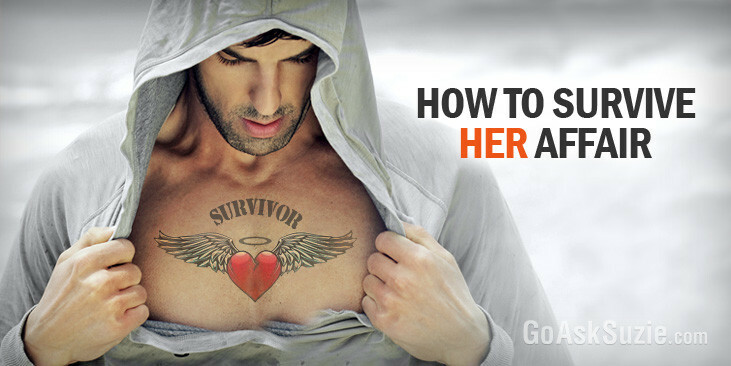 How Do You Survive Her Affair? Surviving infidelity is a lot like surviving quicksand. If you ever got trapped in quicksand and relied on gut reactions to help you survive, chances are, you wouldn’t make it out alive. This is because the two most common gut reactions to sinking in quicksand are panic and struggle — both of which are the exact wrong things to do. This is because quicksand is actually a combination of sand and water, so in order to survive, you need to do something that may seem counterintuitive. You’ll need to relax and allow your body to float to the surface. I’m going to clear up some of that confusion next. Remember, the gut response is not necessarily the right response. 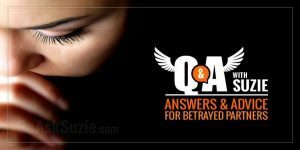 Just as panic and struggle are the two most common wrong responses to surviving quicksand, feeling victimized and seeking revenge are a man’s two most common wrong reactions to surviving her affair. Maybe you’re wondering… how could any man not feel like a victim and want some kind of revenge after making the painful discovery he was being played for a fool? Notice: I’m not saying your gut reactions are wrong. What I’m saying is that staying in that state of mind won’t help you survive. In fact, it will do you more harm than good. Before the end of this article, I will show you why. 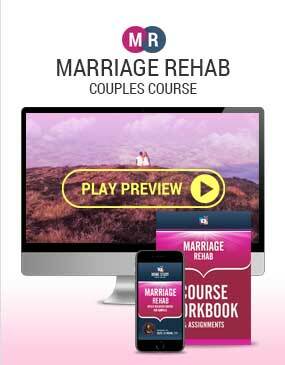 When it comes to surviving infidelity, having the right coping skills, tools, and strategies makes all the difference in the world. It’s like a mechanic having the right tools when your car breaks down. He might be able to diagnose the problem, and he might be able to tell you what caused the problem and how the problem started. But if he doesn’t have the right parts, the right skills, and the right knowledge to fix the car… you aren’t going anywhere. If you want to get the right results, you must use the right skills, the right tools, and the right strategies. Let’s talk about having the right coping skills and strategies. The right coping skills: Coping skills help you deal with the unexpected. Because of the level of unexpectedness of betrayal, it tends to throw your world out of whack. So having the right coping skills is like having a bridge to help you get across this gap. The right strategies: Strategies help you get the results you want. There are only two types of results: (1) the right result (the one you want); and (2) the wrong result (the one you don’t want). An important key to surviving infidelity is being able to get the right results in the fewest steps possible. Using the right strategies is the only way to achieve this goal. 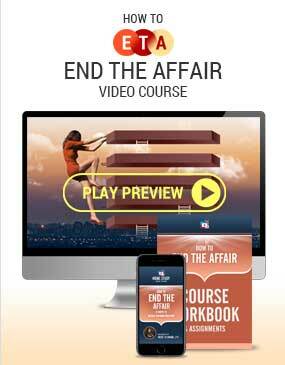 Surviving her affair is not a one-time event… it’s a process that takes time to unfold. 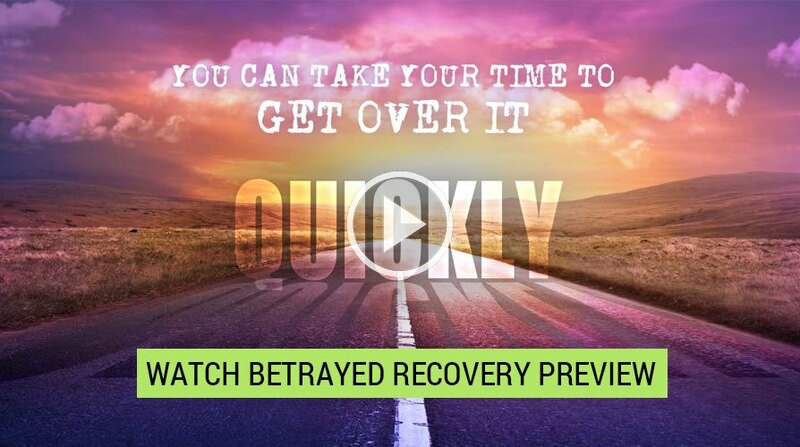 In other words… infidelity recovery is a journey, not a destination. It’s important to let go of any ideas that you’re going to wake up one day and suddenly everything will be back to normal. More than likely, what will happen is that day by day, little by little, you will return to normal. This process of recovery happens so gradually that when you get there, you usually can’t remember how you got there (and that’s ok). Some men will be on the path to recovery longer than others. There’s no timer on infidelity recovery. The process is highly individualized. Some people move through recovery at warp speed, some at average speed, and others do it on turtle time. But when it comes to surviving infidelity, speed is not as important as success. In their haste to put the bad taste of infidelity out of their mind, some men suppress the hurt, hide the anger, and bury the pain. However, buried pain is not gone.  It lives in the basement of the mind, and like a vampire, it tends to rise again. For these men, speed does not lead to surviving… it leads to delay. On the flip side of the coin, you find men who allow themselves to hang out in the pain, hurt, and anger for so long, they get stuck in it. Like children, they pick at the scabs of their wounds so much, it never actually heals. In their case, slow does not lead to surviving; it leads to prolonged suffering. Your wounds leave scars, but they no longer hurt. You no longer carry the painful reminders, hurt pride, and sense of loss… either in the basement or the attic of your life. When the story of what happened is no longer told to caution, warn, or torture others, but to inspire and celebrate your own resiliency. When you can teach others what you’ve learned because you have found a way to turn obstacles into stepping stones. When you have freed yourself from feeling like a victim to feeling grateful you survived. And of all those signs, the last one is the real game-changer. And that’s why it comes in as Rule #4 for surviving infidelity. Shifting from “Victim” to “Survivor” Changes Everything. Making the shift from victim to survivor is the single most important thing you can do to achieve true recovery. I believe it’s so important that I’m going to spend the rest of this article helping you make that shift. Why is it so important to make the shift from victim to survivor? It’s important for the same reason you shift the gears in your car from reverse to forward, because it’s what takes you in the direction you want to go. In my opinion, the 1967 Shelby Cobra 427 roadster is one of the most beautiful cars ever built. It has the sleek elegance of an English Rose and the brute force dominance of American muscle under the hood. Now if you own one of these cars (reproduction or not), you’re bound to get some looks because like dating a supermodel, driving a Shelby Cobra is a real attention-getter. But don’t be fooled by her beauty; when it comes to driving this car, she’s a beast. In fact, the Shelby Cobra has a well-earned reputation as one of the most difficult (and dangerous) cars to drive. It’s street legal but not driver friendly. There have been numerous instances where celebrities (Bill Cosby, for example) found out the hard way that they were unable to handle the car. What makes the Cobra 427 so difficult for the average driver to handle? Well, a few things come to mind. It could be because the car’s designer, Carroll Shelby, spent a large portion of his life as a race car driver. Therefore, he didn’t think like the average driver. Another reason could be because the car has abnormally heavy wheels. As you throttle through the corner, the rear wheels are spinning much faster than the car is moving. Not a lot of everyday drivers know how to handle a car that corners like that. Or maybe it’s because the Cobra requires constant attention, constant correction, and constant awareness. And for the average guy, handling the steering takes two hands, the pedal takes both feet, and shifting the gears from notch to notch takes quite a bit of muscle. So it could be that some guys just don’t have the mental and physical energy to handle all that. Or it might all come down to one skill: perfect shifting. Here’s the thing: when it comes to shifting the Shelby Cobra 427, timing is everything. It’s not enough to know how to shift.. you must know when to shift. Perfect shifting is a combination of timing, awareness, and skill. Alas, many of us never went to race car driving school to learn how to execute this with ease. Of course, you could easily point to any one of these reasons (and many others) to explain why the car has been rumored to kill a high percentage of those who have dared to drive it. But in the end, I believe that mastering the Shelby Cobra 427 (and any other powerful car) comes down to these three things: your ability to respond, adjust, and shift at the right times. Although surviving her affair is not the same as surviving a road trip in a Cobra 427, some of the same skills apply. Because her betrayal is one you never saw coming, you were caught off guard. This would make anybody feel vulnerable. It makes you feel taken advantage of, foolish and violated. So far, this all makes sense. Your gut response is to feel victimized. I think we would be hard pressed to find a man who’s ever felt the sting of a woman’s betrayal who didn’t feel a lot like the victim of a hit-and-run accident. But feeling like a victim is not where the challenge lies. The real problem happens when you fail to make the shift after a certain amount of time has passed. When this happens, a man remains a hostage to the hurt for much longer than necessary. Maybe you’ve heard the statement that more harm is done after the affair than by the affair itself. One of the reasons this is true is because so many fail to mentally and emotionally make the shift from victim to survivor, and so they mistake the bend in the road for the end of the road and fail to make the turn. The result? A tragic loss of self-esteem and self-respect. Think back to the Shelby Cobra 427. Remember the key skills a driver needs to survive the beast? He must possess the ability to respond, adjust, and shift at the right times. Well, those are exactly the skills you will need if you want to survive her affair. You need to be able to respond, adjust, and shift at the appropriate times. Making this shift is not a “should”… it’s a “must” for your survival. And failure to make the shift is a tragedy so horrific, it’s not even worth thinking about. Remember the story of the two wolves that represented two ways of coping with infidelity? Remember we talked about whichever wolf you feed is the one that grows? Now, you have a key decision to make. You must decide which wolf you’re going to feed and allow to grow. In other words, you must decide which coping strategies you’re going to follow. 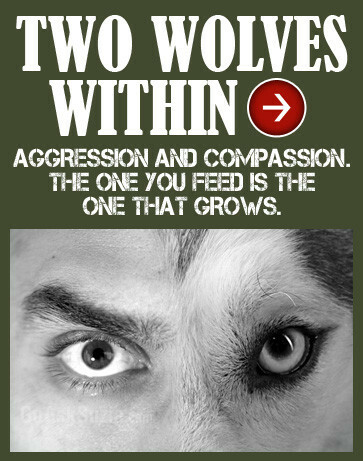 The first wolf uses the victim’s coping strategies; the second wolf uses the survivor’s coping strategies. You cannot feed both. You must choose, and to choose one is to reject the other. That’s because like oil and water, the two don’t mix. The way the victim copes with infidelity is the exact opposite of the way the survivor copes with it. I know that for many of you, her infidelity feels like a descent to a hellish nightmare you’d like to end as soon as possible. Well, following the victim’s coping strategies is like taking a slow, winding road through that hell — one filled with setbacks, roadblocks, distractions, and detours. On the other hand, following the survivor’s coping strategies is like booking a flight on a G-6 and getting out as fast as you can. This is why men who have effective coping strategies survive and thrive (and move on), while men who have ineffective (victim) coping strategies regress (and get left behind). By now, you’re probably thinking that following the survivor’s coping strategies is a no-brainer for any guy dealing with infidelity, right? Not so fast. Remember I talked about the power of instinctive reactions that tend to take over when we’re faced with adversity? Well, that’s how most victim coping strategies get established, and once established, they’re fiercely defended. I don’t want you to be at the mercy of your instincts. I want you to have a wider range of tools and skills. I want you to be aware of what works and what doesn’t work… and why. Sounds good to you? Victims carry a secret hope to be the exception. Therefore, when adversity, pain, and misfortune strike, they often feel like it shouldn’t have happened to them. This desire for immunity from pain, loss, disappointment, and unfairness is unrealistic; therefore, they’re subject to repeated disillusionment. The survivor is fully aware of this truth: life isn’t fair. Look at nature, and you’ll see that fairness isn’t apparent. Lions eat gazelles, birds eat worms, cats kill mice, and people who love each other sometimes hurt each other. This is the reality of life. Sometimes… and sometimes not. But that’s the way it is. The victim’s strategy of wishing for special exceptions or immunity from pain is a delusional wish for an impossibility. As Freddy Mercury pointed out, “there’s no escape from reality.” On the other hand, the survivor actually embraces the concept of inclusiveness as a coping strategy. That’s because it keeps him grounded in reality and connected to the fact that unfairness of some kind happens to all of us. He knows that he’s not the first (nor will he be the last) man to be betrayed. The victim views other people’s mistakes as a deliberate attack on them, and therefore, those mistakes must be punished. The only choice is what form that punishment will take. If the victim has an aggressive personality, then the punishment will be a swift revenge of some sort. If the victim is a passive personality, then the punishment will be more subtle forms of guilt, criticism, stonewalling, and silent treatment. Does punishing people for their mistakes bring about the results the victim is looking for? I’m not so sure it does. Because punishment doesn’t automatically lead to correction. (If it did, our prisons would be empty instead of being a revolving door.) I believe, at best, punishment leads to compliance. And what lies dormant under compliance? You guessed it… defiance. So the minute the cat’s away, the mouse comes back out to play. The survivor recognizes that although punishing her might bring him a temporary sense of satisfaction in the moment, it’s also a red herring. This is because punishment does not necessarily prevent the problem from recurring. Key Insight: It’s only when people correct their mistakes that they become free of those mistakes. So instead of seeking punishment, the survivor seeks correction, rehabilitation and amendment — thereby restoring the balance of power as well as inoculating himself and his relationship against a repeat offense. Because the victim sees her infidelity as a personal attack on him, he feels justified in abandoning his own integrity. This is why men who feel victimized are much more likely to retaliate with a revenge affair of their own. But while the call for justice in the face of injustice makes perfectly good sense, the question the victim often overlooks is this: does retaliation or revenge actually right the wrong? Or is this simply injustice returned for injustice? A wrong returned for a wrong? A mistake attempting to correct a mistake? Retaliation is not justice any more than punishment is correction. To return a mistake for a mistake is not justice… it’s simply revenge. The survivor knows that taking revenge is like drinking seawater to quench his thirst — it will not satisfy him in the long run. Therefore, he is not seduced by his ego’s demands for retribution. Instead, he will seek to restore the balance of power in healthier ways. These include rehabilitation, recovery, correction, and amendment. If there’s one word that sums up the victim’s coping strategy, it would be this: resistance. This is why victims by nature appear to be defiant and argumentative procrastinators who push against the simplest things, from having to wait at a red light, to finishing a term paper on time, all the way to having to grow old. And when it comes to surviving infidelity, victims react with typical resistance. At first, they can’t believe it’s happened to them, then they want to make it all go away, then they’re angry that they can’t change it. All of these are simply forms of resisting the truth: what has happened, happened. Can holding on to the hurt give the victim power over the hurt? Will keeping the past alive in his mind change even one minute of the past? Can the victim really win by not letting go? You guessed it. He can’t. In fact, this strategy gives him the very opposite of what he wants. Rather than giving him power, carrying around all that hurt, unforgiveness, resentment, and grievance drains him of power. Rather than winning, his refusal to let go causes him to lose something far more precious, something he can never replace, recreate, or retrieve.  What is that something? It’s time. If all our psychological suffering comes down to resistance, then it would only make sense that our psychological freedom comes down to our ability to let go. In fact, I believe that the ability to let go is the single greatest coping strategy needed to transcend any problem, adversity, or challenge we are faced with today, tomorrow, and forever. The victim thinks he wins by holding on to pain, but the survivor knows he wins by letting go. Letting go is the language of love. It is the language of freedom, and it’s the master key to success in just about every human endeavor. Think about it. If you’re going to survive quicksand, you have to let go and relax. If you want to learn to surf, you have to let go and find your balance. And if you want to survive infidelity with your dignity and self-esteem intact, then you need to let go and move on. Why? Because letting go frees you, and holding on keeps you chained to the past like an elephant chained to the center ring in a circus. The victim fears that if he grants the favor of forgiveness, she might mistake his kindness for weakness. This is why the victim never really forgives. The most he does is suppress. When he buries the hatchet, he always makes sure to mark the spot because he wants to reserve the right to rehash and reheat the offense at any time he wants in the future. From the survivor’s perspective… forgiveness is both a technology and a remedy for injustice. That’s because it alone reverses the negative consequences brought on by her mistakes. Therefore, he responds to infidelity with forgiveness for the same reason a fireman responds to a fire with water — because it’s what works. The survivor is in on the secret that forgiveness is for him. Because no thought leaves the mind of the thinker, the survivor recognizes that if he harbors thoughts and feelings of resentment, hate, bitterness, and grievance, he’s also being held hostage by those same thoughts and feelings. It’s like keeping acid in a container: the thoughts will do more damage to him than they ever will to her. Therefore, he forgives, not as a favor to her, but as a kindness to himself. He views forgiveness as a rational act of self-interest, and he refuses to harbor resentments. This is because he doesn’t want to live in a mental prison for a crime he didn’t commit. The victim feels he is powerless over his own healing and recovery timeline. He feels like a leaf in the wind, blown along with no say or control over the direction life takes him. This belief allows him to throw up his hands and sit back passively, waiting for time to heal all wounds. Is it really time that does the healing? I’m not so sure that’s the case. In fact, I want to propose another theory. I don’t believe that time heals all wounds as much as it is that we wait on time in order to give ourselves permission to heal. In other words, we don’t need time as much as we need permission. But because the victim believes the opposite (that he has to wait for time to give him permission), he tends to suffer, hurt, and prolong misery a lot more than necessary. The survivor knows that healing doesn’t wait on time as much as it waits for permission. And since he knows no one is coming along to write him a permission slip to move on, the survivor wisely chooses to make the decision to move on sooner rather than later. What happens when a man gives himself permission to heal? He activates a part of his psyche known as resilience. This part is made up of courage, inspiration, grace, and wisdom. Once activated, resilience elevates you into a higher perspective from which you can see a much broader view of why this happened in the first place. From this mountaintop view, you’re able to see the lessons, not the losses. That changes everything. The victim’s perspective is limited. It’s the part of the mind that lives at the valley of life. From this lower perspective, the victim can’t see past being insulted, offended, manipulated, lied to and deceived. Because of the victims’ inability to see beyond, they’re chained to other people’s offenses. However, the survivor in you has access to a much higher point of view. I want you to go for the mountaintop perspective. This is the part of the mind that can soar above the rooftops, buildings, and skyscrapers, and see above the forest and the trees. What he gets from that mountaintop view is the insight that we ALL share similar experiences — some of which are painful, some of which are pleasurable, some of which we understand immediately, some of which we can only understand in review. From this higher perspective, the survivor sees that he has not been singled out. There are no exceptions. Life is the teacher; we are the students. And while our experiences might be different, our lessons are the same. From this perspective, he takes with him into the future a sense of OK-ness and his newly-awakened state of resilience that will never go back to sleep. 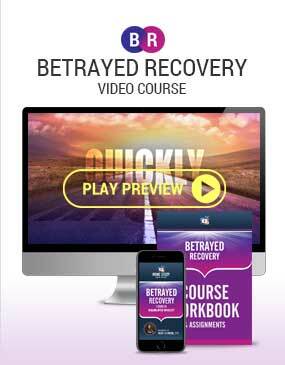 By the way… If you want to go even deeper into learning how to survive the affair, then I invite you to check out my Betrayed Recovery online course. And the best part? The first lesson is totally free.